on day of departure, however, if bookings allow, we can be flexible with these times where possible, we will inform you a week prior to your holiday if we can extend these times. We care about your holiday so will do what we can to ensure a beautiful stay. 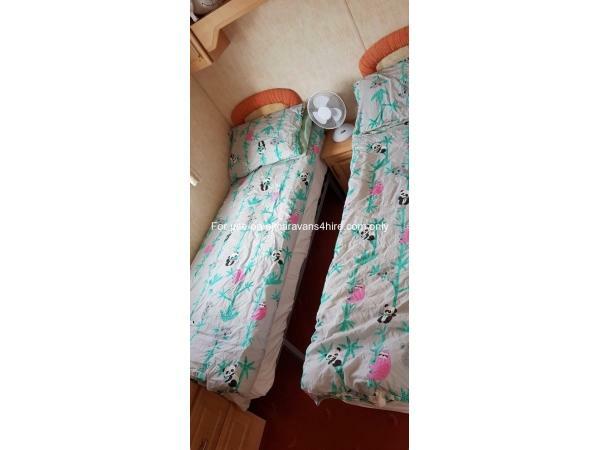 Our caravan can sleep up to 6 people and has three bedrooms, 2 x twin beds and a double bedroom which has a 19 inch TV, plug sockets by each side of the bed, large wardrobe and a dressing table with stool. 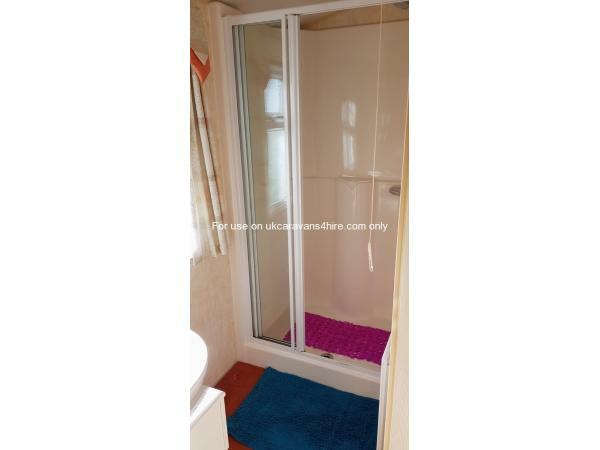 There is a separate toilet with sink, and a shower room, with sink and large walk in shower. The lounge has a large wrap around corner sofa, TV with freeview, DVD player and there are a few games and books in the TV cabinet for you to use during your stay. The dining area has plenty of seating and can easily accommodate the whole family. Fresh bedding is provided for your stay. This includes a sheet, duvet cover and pillow cases for all beds. The beds are all freshly made ready for your stay. Please bring your own towels and extra bedding if you require it. There are 2 waterproof mattress protectors provided for the single beds should your children need them. For warmer evenings, we also provide a fans in all bedrooms rooms. 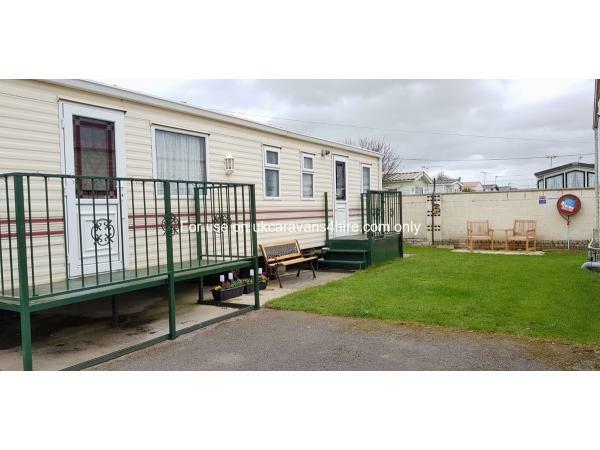 In addition to the caravan hire, we require a £50 refundable deposit to reserve your date and act as a breakage deposit if the holiday is cancelled the breakage deposit is not refundable, full balance due 6 weeks before your stay. If a holiday booking is cancelled with less than 6 weeks notice, the holiday is not refundable. Within the caravan you will find a file detailing local eateries, things to do and other information to make your stay more enjoyable plus a file that contains information regrading the caravan (appliance instruction manuals etc) and site details. You can contact me anytime to the email address below, and I will be happy to answer any questions you might have. 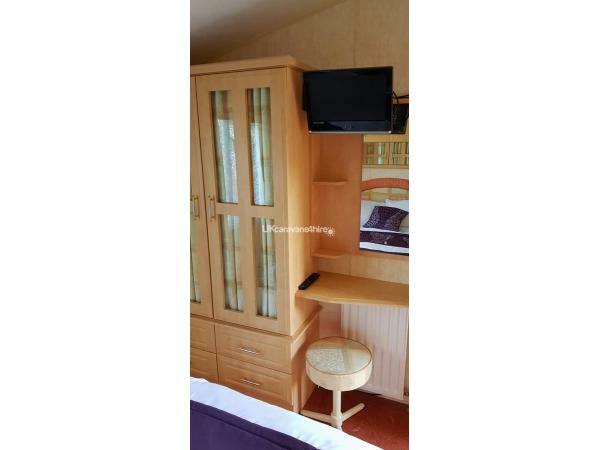 Additional Info: Laundrette - Play Park - central to all amenities - beach access - central to all of North Wales.